"You deserve a life that lights you up- go go turn it on!" The page kit includes both papers and pretties! Inside you will find 14 patterened papers, 6 bonus solids and over 60 detailed pretties including 5 hanging lights, 2 arrows, 2 bows, a little blooming branch, 2 leaves, 3 flower stickers, 5 flairs, 1 happy little butterfly, 2 felt pennants, 3 spool toppers, 3 buttons, 8 flowers, a hand drawn fram colored 2 ways, a sting of lights colored - one string lime and one string pink, a veneer border of positivity (*plus signs!) a lit marquees sign reminding you to shine- (in lime and in wood), a curl of each string and ribbon, a journal lable colred 2 ways, 4 strips of Washi and 11 pieces of Word Art *not all items are shown in preview. Drop shadows for illustration only. 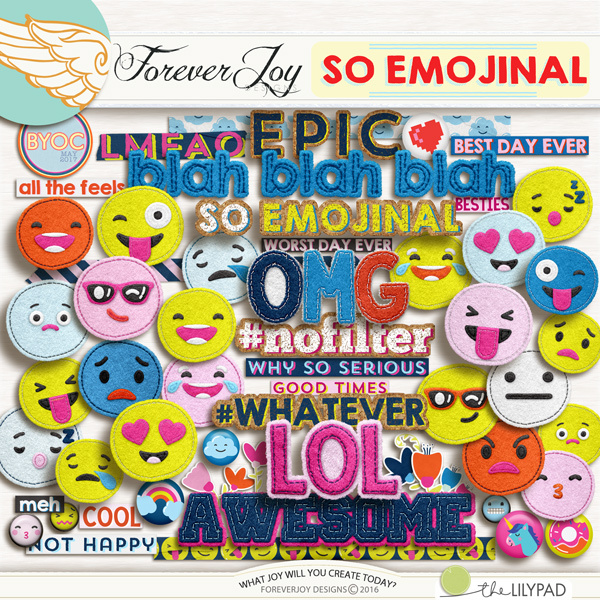 This digital kit has been saved as .jpg and .png files at 300 dpi. Not all items shown. Personal Use Only please. It's been said that you can make a wish, or you can make it happen- and the best way to getting there is having a plan. 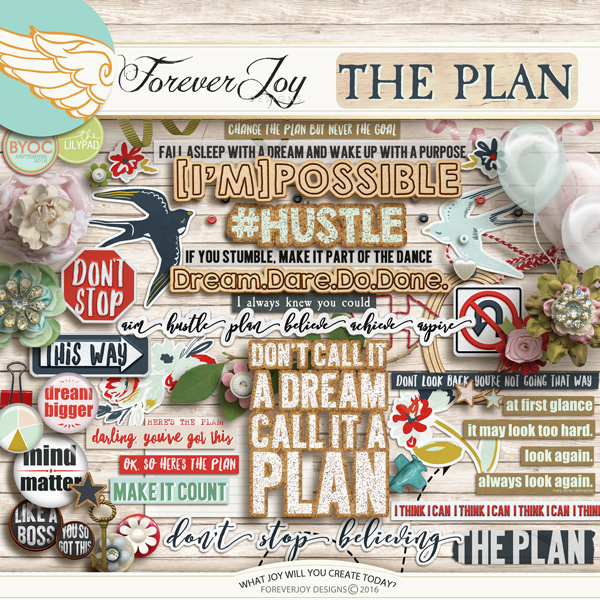 This design celebrates that- the dream chaser, goal makers and joyful hustlers that say, "just watch me!" 20 patterned papers and 4 bonus solids and the following pretties: A little airplane, 2 arrows, 2 buttons, 3 balloons, a scattering of colored beads, 2 soaring birds, 2 bows, binder clip, 2 buttons, 6 flairs, 5 flowers, 4 flower stickers, a hinged wood frame, a pearl white heart, an index card, a gold key, a journaling label colored three ways, a leaf branch, a doodled path, 2 curls of pretty ribbon, 2 bows, cork stars colored 3 ways, stitching in light and dark, 3 road signs to keep you on track to greatness, 2 strips of dymo tape, 4 strips of washi and 17 pieces of word art. *not all items are shown in preview. This item coordinates perfectly with the other SEPTEMBER 2016 BYOC products! Drop shadows for illustration only. This digital kit has been saved as .png files at 300 dpi. Not all items shown. Personal Use Only please. It's been said that you can make a wish, or you can make it happen- and the best way to getting there is having a plan. This design celebrates that - the dream chaser, goal makers and joyful hustlers that say, "just watch me!" A little airplane, 2 arrows, 2 buttons, 3 balloons, a scattering of colored beads, 2 soaring birds, 2 bows, binder clip, 2 buttons, 6 flairs, 5 flowers, 4 flower stickers, a hinged wood frame, a pearl white heart, an index card, a gold key, a journaling label colored three ways, a leaf branch, a doodled path, 2 curls of pretty ribbon, 2 bows, cork stars colored 3 ways, stitching in light and dark, 3 road signs to keep you on track to greatness, 2 strips of dymo tape, 4 strips of washi and 17 pieces of word art. *not all items are shown in preview. This item coordinates perfectly with the other SEPTEMBER 2016 BYOC products! Drop shadows for illustration only. This digital kit has been saved as .png files at 300 dpi. Not all items shown. Personal Use Only please. 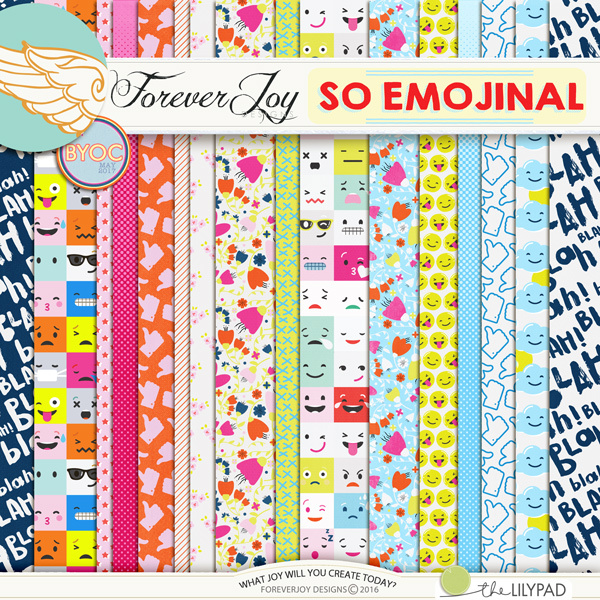 This portion of the collection includes 20 patterned papers (and 4 bonus solids!) 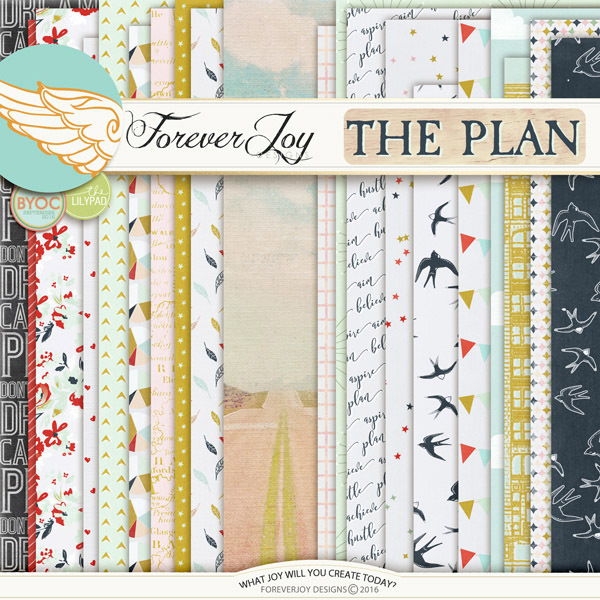 that coordinate beautifully with THE PLAN pretties. This item coordinates perfectly with the other sEPTEMBER 2016 BYOC products! Drop shadows for illustration only. This digital kit has been saved as .jpg files at 300 dpi. Not all items shown. Personal Use Only please.